This is true especially at our office where we use the best quality digital intraoral cameras to show our patients their teeth and oral conditions. We want our patients to know what we are seeing and by using the best quality camera's we can explain your treatment and options. 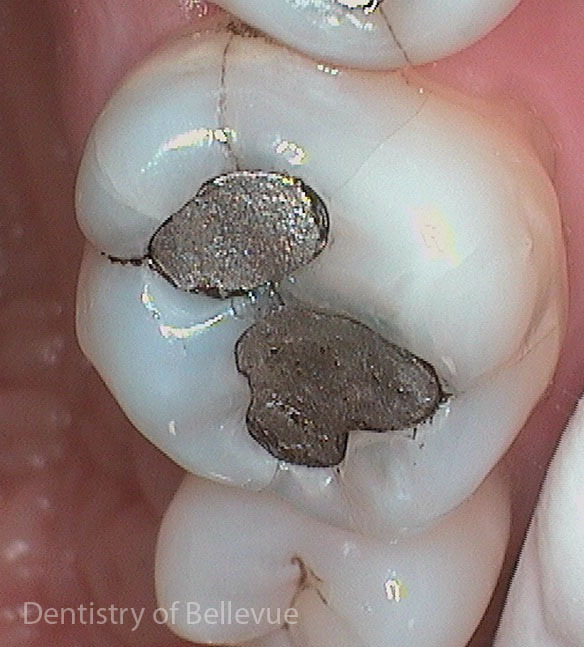 Here you can see a old metal filling breaking down and also note the cracks on the tooth. If gone unnoticed the tooth may decay or crack needing more extensive dental care. Catching teeth like this early can save the patient time, money, and discomfort. 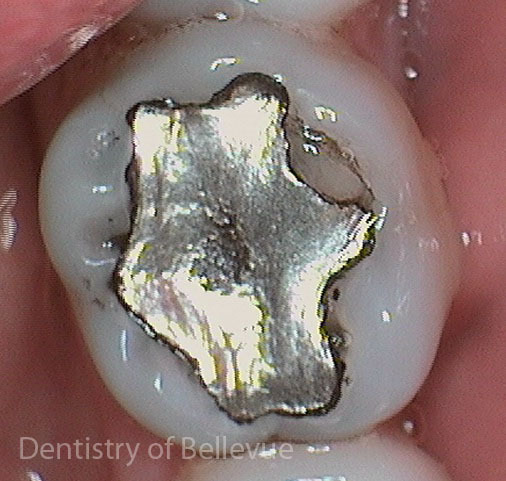 Here you can see a big metal filling (amalgam) and the margins wearing down.